Thank you for speaking up to save the monarch butterflies from Monsanto. Thank you for speaking up to save the monarch butterflies from Monsanto. Monarch butterflies don't stand a chance unless we stop Monsanto's Roundup. 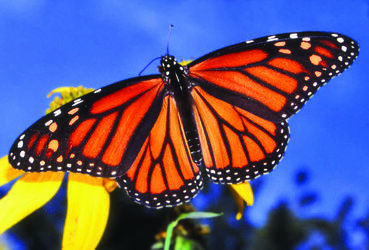 According to Monarch Watch: "167 million acres of monarch habitat has been lost since 1996." An estimated 150 million of those acres are planted with corn and soybeans crops. Thank you for speaking up to save the monarch butterflies from Monsanto. Monarch butterflies don't stand a chance unless we stop Monsanto's Roundup. This is so terribly sad and no one seems to know how to stop Monsanto from using these pesticides. Petition signed. Thank you, Cal. Still Monsanto persists with it's hideous Frankenstein crops.Greed rules. Noted and signed. $$$$ talks and until those causing the problem are affected they will do nothing except line their pockets. When they day comes and they need the help we have been asking for -- just imagine what they will get for an answer from 'we the people'. Bless all who care. DUI defense lawyers at the Sprano Law Firm in Fairfax, VA, provide effective defense in DUI/DWI cases throughout Northern Virginia state and federal courts.